The accident and injury attorneys of Madalon Law take great pride in representing those injured in Broward County, Florida. There are over 25 cities in Broward and growing. Each city has its own unique character and offers a variety of things to do for families as well as singles. Unfortunately, as the population of Broward County grows, so does the amount of accidents caused by negligence. The Broward accident attorneys of Madalon Law are based out of Fort Lauderdale and have a true understanding of each city in Broward and how accidents happen in them. Car accidents can be dangerous, especially at an intersection where cars may collide while traveling in different directions at a high speed. Even though any intersection can be dangerous, Broward has a few that are notorious for frequent car accidents – many of them deadly. Also called the Butterfly Capital of the World, Coconut Creek is growing city with family-oriented activities like park festivals and Butterfly World, as well as hip hot spots like World of Beer, Bar Louie and the shops at the Promenade. Visit our Coconut Creek Accident Attorneys page. Surrounded by Davie, Pembroke Pines, Hollywood, and Southwest Ranches, Cooper City was rated as one of the Best 10 Towns for Families by Family Circle Magazine. Visit our Cooper City Accident Attorneys page. Approximately 20 miles northwest of Fort Lauderdale, Coral Springs is a city that has won multiple accolades over its low crime rate, livability, and overall family-friendly environment. Visit our Coral Springs Accident Attorneys page. Dania Beach is the location of one of the largest jai alai frontons in the nation. Located between Fort Lauderdale and Hollywood, there is plenty of traffic and risk when driving on Dania Beach roads. Visit our Dania Beach Accident Attorneys page. The town of Davie is full of tradition and a reminder of old Broward County before much of the new construction we see throughout the county. Davie, Florida is also home to the Miami Dolphins Training Facility. Visit our Davie Accident Attorneys page. Located in North Broward County, Deerfield Beach is on the Palm Beach county line. Dating back to 1890, this community has continuously grown and is a hotspot for locals, as well as, tourists. Visit our Deerfield Beach Accident Attorneys page. With a large entertainment district and popular spots like Las Olas, the most popular tourist destination in Broward County is also a hot spot for accidents caused by negligence. Visit our Fort Lauderdale Accident Attorneys page. A popular spot for shopping, dining, and lodging, Hallandale Beach is busy with local residents, as well as, people visiting from other areas. The Diplomat Mall, Gulf Stream Park, and Mardi Gras Casino are just a few reasons why. Visit our Hallandale Beach Accident Attorneys page. Hollywood is rich with history and popular spots. The famous Hollywood Beach and Boardwalk, the Historic downtown district, ArtsPark at Young Circle and the Art and Culture Center are just a few reasons this city is busy. Unfortunately, more people results in more accidents. Visit our Hollywood Accident Attorneys page. Lauderdale Lakes is only 4 square miles in Broward County – the center being located at the intersection of Oakland Park Boulevard and State Road 7 / U.S. 441. Still, this small Broward city sees a lot of foot and road traffic, leading to accidents caused by the negligence of others. Visit our Lauderdale Lakes Accident Attorneys page. With several parks and camps, as well as the Lauderhill Performing Arts Center, many families call Lauderhill their home. The Lauderhill mall only adds Traffic. Visit our Lauderhill Accident Attorneys page. Located in northeast Broward County, Lighthouse Point is small, peaceful and quiet. With beautiful homes, amazing beaches and restaurants, Lighthouse Point is enjoyed by its residents, as well as visitors and tourists. Visit our Lighthouse Point Accident Attorneys page. Located in Broward County, the city of Margate has a big city attitude, but with a small town feel. This is a family oriented city with multiple sports leagues for kids and their families. Visit our Margate Accident Attorneys page. Located 14 miles southwest of Fort Lauderdale, this Broward County city has very much of a Broward County feel, with also a bit of Miami. 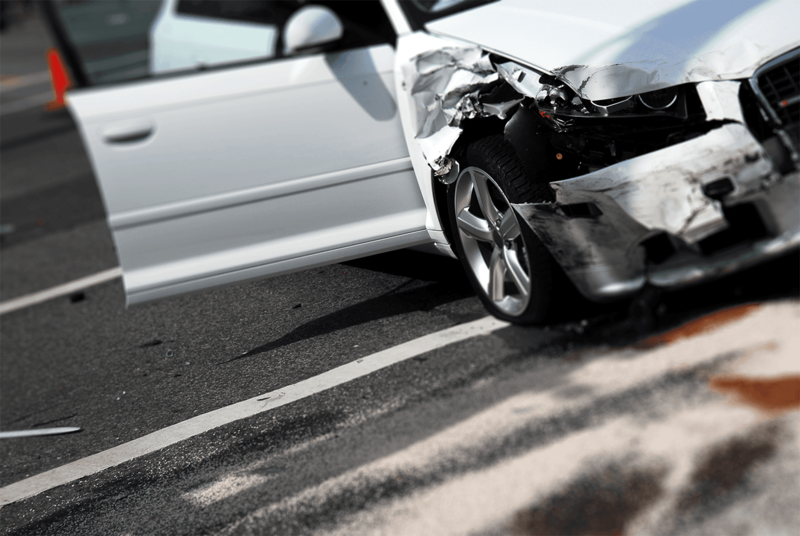 Visit our Miramar Accident Attorneys page. Rich in diversity, this compact city is located in the center of Broward County. Surrounded by Coral Springs, Fort Lauderdale, Pompano Beach, Tamarac, and Margate, this is a very busy city. Visit our North Lauderdale Accident Attorneys page. Oakland Park is a Broward County city in the Fort Lauderdale area. The city of Oakland Park is currently experiencing the growth and redevelopment that comes from being the neighbor of Wilton Manors – a city that regularly redevelops. Visit our Oakland Park Accident Attorneys page. A Broward County city with a total size of 12.8 square miles, the city of Parkland is known for its zoning laws, helping to protect its parks and quiet and peaceful environment. Parkland is regularly listed as one of the best cities to raise a family in Florida. Visit our Parkland Accident Attorneys page. Pembroke Pines may be the 10th largest municipality in the state of Florida, but it still retains its small-town feel. This beautiful city is located in west Broward County and is considered one of the most popular places in Broward to raise a family. Visit our Pembroke Pines Accident Attorneys page. The city of Plantation is known for its beautiful safe neighborhoods, striving businesses, shopping, and family environment. Due to high traffic, this Broward city is also known for accidents. Visit our Plantation Accident Attorneys page. Just north of Fort Lauderdale, Pompano Beach is located along the coast of the Atlantic Ocean and is listed as one of the top real estate markets in the country for vacation homes. This busy city is no stranger to local traffic, visiting traffic and the accidents that come with it. Visit our Pompano Beach Accident Attorneys page. The city of Sunrise is one of the busiest cities in Broward County. Home to the Sawgrass Mills Mall (one of the largest malls in the United States) and the BB&T Center (home to the Florida Panthers and countless concerts), this city is no stranger to heavy road traffic, foot traffic and the accidents that come with it. Visit our Sunrise Accident Attorneys page. Located in West Broward, the city of Tamarac is a focal point for residential and commercial development. Visit our Tamarac Accident Attorneys page. A newer municipality located in southeast Broward County, West Park is composed of neighborhoods of Miami Gardens, Carver Ranches, Utopia and Lake Forest. Visit our West Park Accident Attorneys page. Weston is a beautiful family-oriented community that has enjoyed well-managed growth and has easily become one of Broward County’s most desirable cities for residents and businesses. Visit our Weston Accident Attorneys page here. Located in the Broward County, the city of Wilton Manors may be small, but regularly experiences growth and is often reinventing itself with new businesses and hot spots for residents and visitors. Visit our Wilton Manors Accident Attorneys page.